The European club pre-season is well under way and we already have a few goal scorers, those playing at Benfica and one at Stuttgart. 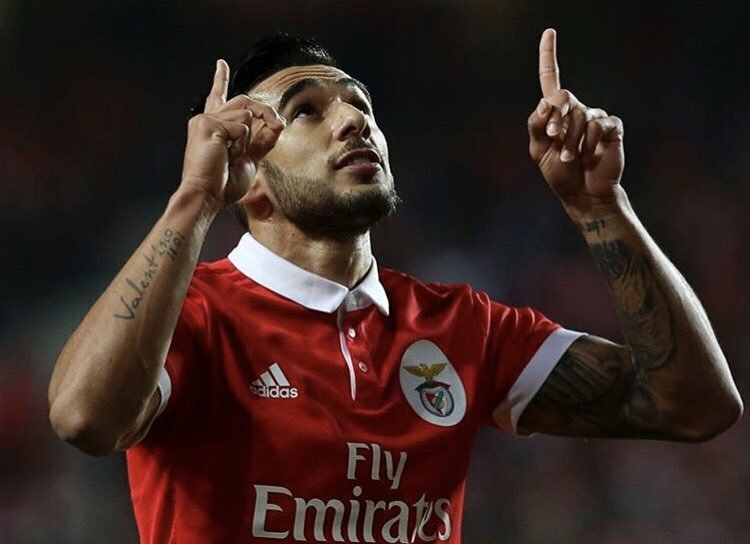 Eduardo SALVIO’s vacations were very short lived after his World Cup campaign with the Argentina National Team and he’s back scoring goals for his club side Benfica. It wasn’t just SALVIO who was on target but Franco CERVI as well as newly signed German CONTI. Benfica picked up a 5-0 win against Swindon Town. 🎥 Fica com os golos do SL Benfica 5-0 Swindon Town FC! Youngster Nicolas GONZALEZ found the back of the net twice for his new club Stuttgart in a 3-3 draw against FV Illertissen. The 20 year old former Argentinos Juniors man recently signed with the Bundesliga team earlier this month on a five year contract. While no video appears to be available of the goals, it’s not a bad way for a forward to introduce himself to his new club. 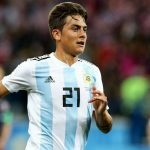 I hv recently seen videos of nico Gonzalez …he really looks a good player…..but we don’t need players at attack…we need players in defence , CM ….Nd I also don’t think we hv now good attacking midfielders..
Angelici want Sabella for manager of NT? Sabella likes Gallardo? Makes me cringe thinking about him playing for Argentina again. One of the players who should NEVER be called again, along with Acuña, Enzo, Armani among others. 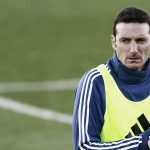 Nicoals Russo, who has influence on decisions of Comitee Executive proponed as prescription for new coach that the old players, including Messi, will not called up within a year. We see here someone around AFA coming to his senses to count finally how old will the players in 2022. Where is our Lucas Modiric or Tony Kroos? We don’t have any at the moment. Let’s see how Paredes develops, especially if moves to a better club and league. First, he is winger. Di Maria position. Di Maria contribution is so puny that we do not risk anything by incorporating players like Nicoals Gonzalez. The same with Banega. I’m still a bit sceptic to Paredes but it’s not risk to give him Banega’s place as the second gives too little. THe same with Aguero. He was not that bad on WC but looked like mere poker and nothing more. Player who will stay in penalty to receive the ball. So why not Icardi/Martinez? All they are future players and just unlikely be worse. Think about age of players in 2022. Before Nicolas Gonzalez, I would like to see Angel Correa and Ocampos in the winger position. Eventually trying Cervi. It’s time to try the pair Pardes+Lo Celso in the midfield, in front of a true DM. Lo Celso may play in a more advanced position and Paredes slightly behind. It will take them years to achieve level like Modric, Raktic, Pogba and Kroos. Before this world cup, Deschamps said that their friendly game against Colombia was a very important football lesson. I watched the game, the Colombians dominated French tactically during the 2nd half: control of the tempo, aggressiveness in defense, intensive pressing in the midfield, counter attack in 1 touch, …etc. I really think Deschamps inspired a lot from this game because France played exactly in this way during the WC. Indirectly Pekerman woke up Deschamps and show him the direction. So if fans here said that we should play like France, actually we should play in Pekerman’s style. – 4-men midfield with totally different profile: 1 full-time DM(mascherano,sanchez), 1 versatile CM able to defend with good passing skill(lucho, cambiasso, aguilar), 1 playmaker(riquelme, aimar, james) and 1 winger(maxi, cuadrado) who can play on both side. Those 4 men need to be agile and intelligent. – upfront with 1 half-9(saviola, tevez,) and 1 classic forward-striker(crespo, falcao). Very balanced, no fancy stuff such as false 9, deeplying playmaker, fullback-winger …etc., just back to the fundamental and it works. In defense, I don’t know which 4 we should play. In the midfield, I like the idea to have Ascacibar(DM), Paredes(CM), Lo Celso(playmaker) and Angel Correa or Ocampos(winger). Up front, probably the pair Dybala(if Messi leaves)-Icardi. It’s been years that we play without a classic forward and a real playmaker. It’s time to go back to the old school style. Snow Messi is now at Bayern but has chosen to represent Papua new Guinea. All you who’re talking about future Argentina footballers. Don’t forget about Claudio Nancufil or ‘Snow Messi’.